While getting ready to workout in the gym, I saw Ho who didn't look good. I used to see him cheerful and always loved running on the hill. Lately I could see he wasn't smiling and had lost a lot of weight. Instead of walking into the gym room, I sat down with him in the rest room to listen to his problems. Ho is only 52. A very intelligent man who made himself a multi millionaire within the last 20 years in business. He started with only $100,000 and partnership with another friend, who is a sleeping partner. From his sheer hard work and smartness, he built their company to a value of $30 Million today, and is still expanding. But being rich they are currently, both the two partners are having conflicts. The sleeping partner who is holding the share of 55% is suing Ho who is the key person of the company. He is the one who built the millions while his friend slept all these 20 years. He couldn't believe his good friend and partner could take him to court. He is extremely frustrated, sorrowful and painful in heart. By listening I understood his dilemma. To enlighten him I shared with him the 'Good & The Evil' forces all of us have to face on earth. For a evil person to gain his energy, he has to practise all the bad deeds of life. No evil person would enjoy being good. The more he cheats, the more he loves it. Whereas a good person gains his energy by practising all the sincere and good things of life. No good person would like being evil. The more good thoughts and sincere intentions he gives, the more he feel nice and wonderful. Advising Ho I said... for you to win, never challenge your friend. 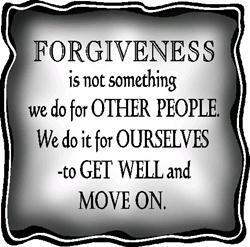 Be forgiving, tactful, friendly, willing to loose and to give, never show your anger but rather smile as much for him. The more you play the good role, the more you would feel better. Otherwise you face frustration and stressfulness, which in the long run might affect your well being. A lighter heart is always calm and peaceful my friend. Too glad to see the young man here again. I thought you are on a world tour honeymoon. As the saying goes.. The wise forgive but do not forget.